We just finished our second week of summer training with fully half the team in regular attendance. We've welcomed seven new freshman and may have as many as ten more on the way. The new sophomores are doing well also, as are our returning veterans. 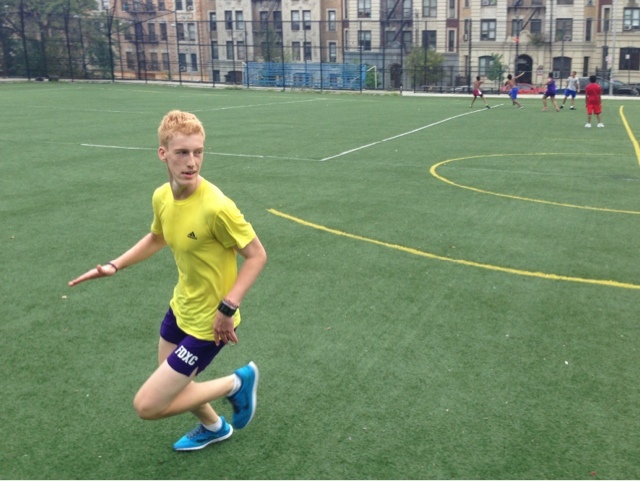 In our time trials, Matt Brown has been leading the pack with a 6:01 pace in a 1.6 mile distance, and Kleant Daci with a 0:49 in the 330m final sprint at Van Cortlandt Park. Our practices now move to school, at 4pm, for the remainder of the season. A reminder: parents are invited to our upcoming Parent Meeting & Trail walk. Details are on the Parents Info page. 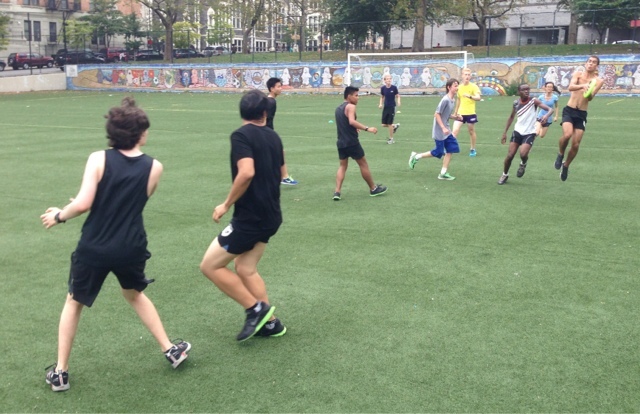 Lastly, here are some photos from our week-ending frisbee game.